The corrected data released by the Commerce Department for the second quarter of 2016 is even a little worse than the already bad initial estimate. In Q2 the American economy registered GDP “growth” of a lackluster 1.1 percent. This follows similar data for Q1, indicating that in the first half of 2016 the U.S. economy grew by only a dismal one percent. Despite hundreds of billions of dollars in deficit spending, the U.S. economy remains at stall speed. Without hundreds of billions of dollars in deficit spending, America’s economy would without a doubt plunge into a technical recession. Thus, less than three-months ahead of the U.S. presidential election, the Obama economy will not be one of the arrows in Hillary Clinton’s quiver. This may also provide Donald Trump with more ammunition, as the perception of a robust economic recovery in the United Sates fades from reality. The revised data released by the Commerce Department indicates that America’s economy expanded by an anemic 0.7 percent in the final quarter of 2015. This level of GDP “growth” is essentially stall speed, indicative of the world’s largest economy being stuck in stagnation, reminiscent of Japan’s L-shaped recession. Despite Labor Departed figures that are spun to suggest a robust economy based on artificially low unemployment rates, the GDP data is more reflective of reality; an American economy that is stuck in the mud. And this, despite a recently increased projected deficit for the U.S. federal government of $544 billion for 2016. 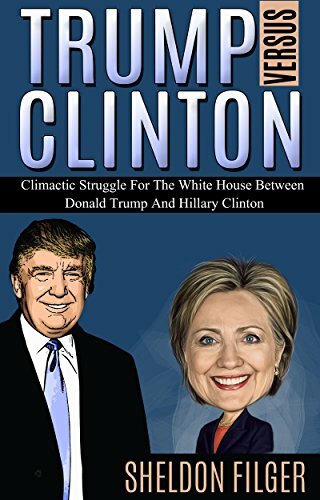 Massive deficits combined with a stalled economy that may face a recession as global economic disarray grows will likely impact the upcoming 2016 presidential election, in which it appear more likely now that Donald Trump will challenge Hillary Clinton. The U.S. Commerce Department revised slightly downward its already meager assessment of the third quarter of 2015. The updated data reveals that in Q3 the American economy grew at only 2 percent. Overall, the first three quarters of 2015 indicated GDP growth in the United States of two percent. Unless there is an unexpected and massive pickup in Q4, the overall rate of GDP growth in the U.S. will remain at about 2 percent for 2015. Marginal growth, far below potential, has been the reality since the “recovery” from America’s Great Recession of 2008, sparked by the global economic and financial crisis. Despite unprecedented fiscal and monetary stimulus, the “recovery” still only generates a level of subpar growth that is not only counter to previous recoveries, but is at virtual stall-speed. As the Fed begins to ramp up interest rates after nine years, should another major recession strike the U.S. economy, there are no quivers left in the arsenal of government policy measures. According to revised data from the Commerce Department, the American economy grew by only 2.2 percent in Q4 of 2014, significantly lower than the earlier reported figure of 2.6 percent, which caught analysts off-guard. The corrected GDP growth figure for Q4 is a sharp drop from the reported 5 percent growth in Q3, throwing a wet blanket over claims made earlier by the Obama administration that the U.S. economy was set for strong, consistent growth. Typical with poor economic data emanating from Washington, the analysts and pundits are already doing their spin routine, claiming that the disappointing economic data for Q4 of last year was merely a temporary speed bump. The prediction of annual GDP growth in excess of 3 percent in 2015 for the American economy is being forecasted by many observers. But what about the undeniably very bad economic news coming from the Eurozone and Russia, and the slowdown in China and Brazil? As the U.S. economy is not a island, it seems unreasonably optimistic to believe that the proliferation of bad economic news from abroad will not impact the United States negatively. The U.S. Commerce Department released Q2 results that indicate that, at an annualized rate, the American economy grew at 1.7 percent. And Wall Street and its coterie of experts are ecstatic. Why, I may ask? Because that number supposedly beat the predictions of those same experts, and exceeded that Q1 number, which reflected annual growth of the U.S. GDP at 1.1 percent. Let’s hold our horses before uncorking the champagne bottles. By any standard, 1.7 percent annual GDP growth is tepid, and it is downright atrocious when one considered the massive fiscal and monetary stimulus being poured into the U.S. economy by the politicians and the Federal Reserve, care of Fed Chairman Ben Bernanke’s quantitative easing and purchases of U.S. securities at the rate of 85 billion dollars per month, facilitated through the Federal Reserve’s printing press. In addition to the above facts, the comparison with Q1 is misleading. Yes, 1.7 percent looks better than 1.1 percent. But let us recall that the 1.1 percent figure is a corrected number; the original Commerce Department report on Q1 was annual GDP growth of 1.8 percent. Who can be certain that the Q2 number will not at some point be corrected downward, just as with the Q1 report? All in all, despite the celebratory hype, I find nothing to cheer about in the report, and find the meager growth figure a pathetic end product derived from unprecedented fiscal deficits and Federal Reserve money printing. The U.S. Commerce Department has just released data showing that the American economy shrank by 0.1 percent in the fourth quarter of 2012. This data is seen as a shocking development, particularly after the claimed growth in GDP of 3.1 percent in Q3 of 2012. The miserable data for Q4 of last year marks the first contraction in GDP of the U.S. economy since the last recession of 2008-2009. The commentators are already trying to spin the Q4 data, attributing it to, among other things, reduction in inventories and reduced military spending by the Pentagon. However, spin aside, it is clear that nearly five years after the supposed end of the last recession, the U.S. economy is still on life support, depending on a trillion dollars every year in deficit spending to remain afloat, and create artificial “growth” in GDP. Now, despite the massive borrowing binge by the U.S. government and its policymakers, even tepid growth cannot be assured. At best, the American economy is at stall speed, and with increased talk by politicians in Washington of fiscal consolidation and austerity, the worst may be yet to come. An economy does not have to be in technical recession in order for it to be mired in economic crisis. That is what the latest GDP figures from the U.S. commerce department reveal about the American economy. In Q2 of 2012 the U.S. economy grew at an anemic 1.5 percent, according to the latest data just released by the Commerce Department. This represents stall speed, a level of growth so low, particularly in the context of massive government deficits and unprecedented monetary easing by the Federal Reserve, it is a future indicator of a looming recession. More than a trillion dollars in borrowed money, representing a third of all government expenditures, can at best produce a level of artificially induced growth that is so contracted, it represents a fraction of annual government borrowing- which in itself is merely future demand pushed back into the current fiscal year. Just as a plane that loses momentum will enter a stall, leading to a downward tailspin, it seems that the U.S. economy is close to experiencing the same phenomenon. As if on cue, the Dow Jones index soared to the skies in sequence with the Commerce Department’s triumphant announcement that the third quarter GDP growth in the United States was a robust 3.5 %. After 4 consecutive quarters of economic contraction, the pronouncement that the American economy was now growing, and at a stronger rate than many experts had forecasted, the cheerleaders on Wall Street are celebrating the end of the recession. Hallelujah, the Great Recession is over, the stimulus package has worked! Let us journey back into recent history of just over one year ago. It is August 28, 2008 and the Commerce Department has just released its revised growth figures for the second quarter of 2008. It turned out, according to the statisticians at the Commerce Department, that the American economy grew at a much faster pace than originally reported. The revised Q2 GDP growth figure for 2008 was 3.3%, nearly identical with the Q3 figures now being reported in 2009. The pundits rejoiced at this magnificent economic news, proclaiming that these numbers reflected the success of the $150 billion deficit-driven stimulus package approved by Congress at the beginning of the year. Analysts proclaimed that the impressive growth figures for Q2 of 2008 meant that the U.S. economy had dodged a bullet, and thanks to loose fiscal and monetary measures, there would be no recession. Two weeks after the release of the revised and supremely optimistic quarterly growth figures by the Commerce Department, Lehman Brothers went bankrupt, the global financial system went into cardiac arrest and a synchronized recession struck virtually every economy on the face of the earth. Before celebrating the glorious Q3 numbers for the U.S. economy, I recommend that prudent observers reflect on the massive levels of public indebtedness required to create the accounting metrics that can demonstrate economic growth simultaneously with the devastation of the real economy and continuing increases in an already staggeringly high level of unemployment. Furthermore, digest the reality that car sales generated by the recent “cash for clunkers” program contributed nearly 1.7% of the 3.5% growth in GDP in Q3. Then, looking at the recent history referred to above, ask the hard questions on how sustainable the trajectory suggested by the third quarter numbers really is. In my view, the 3.5% Q3 numbers of 2009 are as reliable an indicator of future economic growth as were the 3.3% GDP growth figures in 2008. 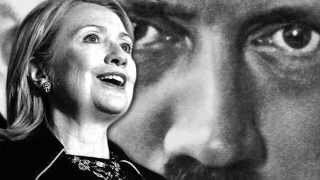 As George Santayana stated, those who forget the past are condemned to repeat it. Where is the American Consumer? At its peak level of GDP, the U.S. economy depended on the American consumer for more than 70% of its output of goods and services. It has been the deleveraging of the American consumer, and to a growing extent his/her unemployment, that has been the catalyst of the U.S. recession. And not only America; the centrality of the U.S. consumer to the overall global economy has meant his pulling back on a debt induced shopping spree has sparked a worldwide synchronized recession. The vast amount of money that Uncle Sam has borrowed to fund a nearly $800 billion economic stimulus program is supposed to substitute for the falloff in consumer demand, stop the avalanche of job losses and in the process regenerate consumer spending. The perception that this policy response was beginning to bear fruit has been the foundation of a recent flurry of statements emanating from the Federal Reserve, intimating that the recession was winding down, with recovery just around the corner. Both the Fed, Obama administration and Wall Street fully expected that the July retail sales figures would reflect a return to growth in consumer spending, juiced up by a taxpayer funding “cash for clunkers” gimmick aimed at kick-starting auto sales. When the official sales figures were released by the Commerce Department, jaws dropped right through the floor. Instead of the .7% rise that was expected, July’s retail sales figures revealed a decline of .1%. However, the reality was much worse than even the posted decline, for the July figures were artificially inflated by a large increase in automobile related products due to “cash for clunkers.” Without the engineered car driven increase in consumer purchases, the actual retail sales contraction was .6%. The ugly truth is that no matter how manipulated official economic statistics are, including the U3 unemployment number, the reality is that total consumer purchasing power, reflecting the number of hours worked multiplied by average wage, has declined to a level that makes it virtually impossible to recreate vigorous economic growth. Despite the happy talk from Washington, I think it would be surprising if the Obama administration does not ask Congress for a second massive stimulus package before the end of the year. Should a second stimulus package be proposed by President Obama, he may encounter stiff resistance from Republicans and fiscally conservative Democrats over concerns about the exploding national debt. However, it is likely that the Obama administration will place a higher priority on going into the 2010 mid-term elections with the ability to claim they have reduced unemployment rather than positioning themselves as fiscally responsible. Higher deficits, however ,create the danger of inflation and much higher interest rates. Escalating interest rates will serve as a brake on economic expansion, defeating the purpose of deficit funded stimulus programs. Now, in that situation, one can always resort to monetary policy, with the Federal Reserve reducing interest rates. However, in this unique economic disaster our planet is currently navigating its way through, the Fed, as with many central banks throughout the world, has already reduced its funds rate to close to zero. Could the Obama administration be running out of options? If fall retail sales continue to plummet and unemployment rises, things could get even more ugly for the problematic American economy. Are the U.S. Government’s Statistics on the Economy to be Trusted? There is an old adage which says there exist three types of lies; lies, damn lies and statistics. With that caveat in mind, how should one approach the government’s claim that the U.S. economy contracted by “only” 1% last quarter? 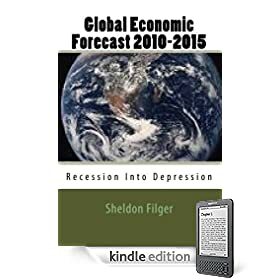 The question is of great importance, since this statistical marker underpins the claims being made by legions of politicians and financial analysts that the greatest global recession since the Great Depression is nearing its end, with recovery just around the corner. Karl Denninger, a frequent guest on CNBC and commentator for a website with a sceptical take on the economy, Market Ticker, has offered a convincing rebuttal to those who stand by the official claim that Q2 witnessed a decline of a mere one percent in the U.S. economy’s GDP. Here are the salient points of Denninger’s critique of the numbers that came out of the Commerce Department’s Bureau of Economic Analysis. According to the Commerce Department, Q1 was actually significantly worse than the originally reported -5.5%; the actual decline was -6.4%. Due to the different benchmark, the .9% differential needs to be added to the decline in Q2, taking the actual figure to -1.9%. In addition, because the government reduced its spending in Q1 by 4.3%, and comprises approximately 30% of the total economy, its share of Q1 contraction is 1.3%. Here we come to the heart of Denninger’s mathematical analysis. He believes that it is consumer activity that points to the strength or weakness of the American economy, not government spending. Accordingly, he argues that reductions or increases in spending by Washington should be subtracted from quarterly GDP measurements in order to ascertain the actual temperature of the real economy. With that in mind, he backs out the reduction in government spending in Q1, which reduces that quarter’s contraction to just above -5%. In Q2, Denninger points out, the government’s spending grew by 10.9%, contributing to a positive movement of 3.3% in the second quarter’s reported GDP. Remove that 3.3% from the equation, and the actual Q2 data for the consumer economy witnessed an overall contraction of -5.2%, a figure substantially worse that the official government Q2 report. The statistical argument raised by Karl Denninger warrants careful consideration by all those who are seeking an accurate gauge of what is actually transpiring in the real economy. Furthermore, the track record of both the Commerce Department and Labor Department has not been exactly stellar with regard to its statistical accuracy in measuring the impact of the Global Economic Crisis on the American economy. Simultaneously with the release of reassuring Q2 numbers, the Commerce Department also admitted it had gotten its evaluation of the recession’s affect on the U.S. economy’s GDP from its onset in Q4 of 2007 through the latter part of 2008 stupendously wrong, now conceding that the actual contraction was -1.9 percent instead of -0.8%, as previously reported. One other point made by Denninger is especially disturbing. He reminds us that an individual who borrows money from a bank or his/her credit cards would never be able to claim that loaned credit as earned income. Certainly the IRS doesn’t consider credit to be income, or else it would tax us on all our debts. However, in the case of the U.S. government measuring GDP, the opposite logic applies. The increase in government spending in Q2 was predicated entirely on borrowed money, particularly as tax receipts declined significantly even as spending grew in spades. Should money that Washington borrows from its China credit card really be considered part of the GDP`s “growth,” as is now the case? There is only one flaw with Karl Denninger`s analysis; it is based on logic, a principal that seems irrelevant to any measurement of the economy derived from official government sources.